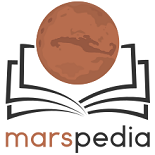 The existing knowledge about Mars is a valuable basis for planning the first settlement, but during the development of the Marspedia project some open issues arise, that require an Experimental Setup. The needed knowledge can be obtained by simulating Martian conditions in a terrestrial lab, where the experimental setup is placed. Only certain parameters have to be simulated, mostly air pressure and temperature. This page collects descriptions of those experiments required to find the needed knowledge. The amount of energy to heat a Martian greenhouse, that is lit by direct or indirect sunlight, is unknown. It depends on the temperature difference between the Martian atmosphere and the temperature inside the greenhouse. It depends even more on the shape and the insulation methods and materials. An example layering of insulation must be developed. Influences of different greenhouse sizes must be taken into account. The whole concept must be radiation proof, protecting the construction and the plants inside. The temperature inside the greenhouse is constantly at 20°C. The known air pressure and temperature values of the Martian environment are used for the experiment. No heating effect from the sunlight. The construction uses long lasting materials (at least 10 years), withstanding Martian radiation, sand storms, etc. A viable shape of the greenhouse, capable to hold the air pressure. A viable layering of insulation. The required amount of energy per m2. Soil can be made from powdered regolith, enriched with artificial fertilizer and moistured with water. A small amount of terrestrial soil implants microbes and insects. Seeds of pioneer plants are used to start greening. It is unclear, how long it takes to make mold this way, allowing to grow food plants. The temperature is constantly at 20°C. The air pressure is terrestrial sea level. The production of soil starts with 1 kg of natural soil and is carried out in a sequence of soil generations, multiplying the amount of usable soil. The best mixture for each generation. The best amount of moisture. The time until 1000 kg of new soil is ready for food production. The low atmospheric pressure on Mars has an effect on the work of a wind turbine. This can be simulated on Earth in a low pressure wind tunnel. The best shape of the rotor wings for thin air is needed. The stability for heavy dust storms must be considered. Additionaly we need an exploration on the Martian surface to find out about the strength and frequency of winds. The known air pressure and wind speed values of the Martian environment are used for the experiment. The Martian atmosphere contains a small percentage of water. With liquefaction technology the production of water should be able all over the planet's surface. The known air pressure, temperature and moisture values of the Martian environment are used for the experiment. This page was last edited on 11 September 2012, at 14:43.